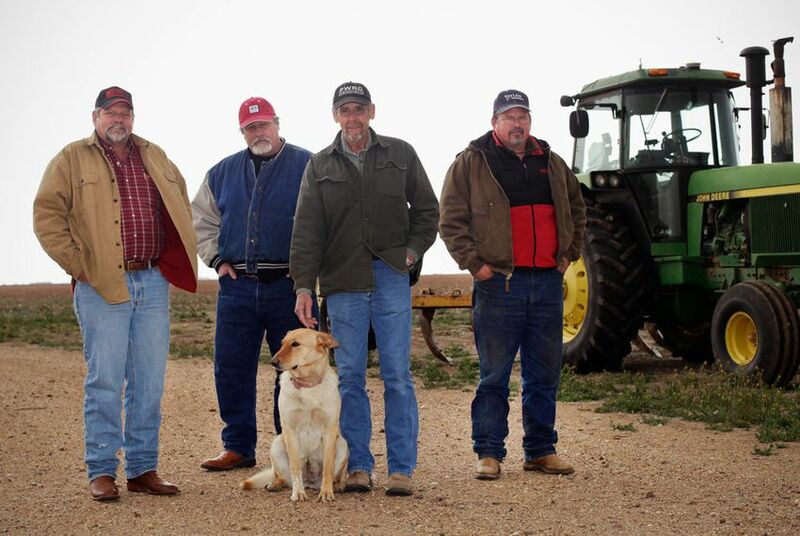 As the Ogallala Aquifer slowly declines, some West Texas farmers are facing a new type of regulation: a limit on the amount of water they would pump from wells on their own land. And many aren't happy about it. FLOYDADA — J.O. Dawdy, who has been a farmer for 36 years, is so worried about getting enough groundwater that he is considering a lawsuit to protect his right to it. As sleet pounded his West Texas farmhouse one recent afternoon, Dawdy and three other farmers said that new regulations — which limit the amount of water they can withdraw from the Ogallala Aquifer and require that new wells have meters to measure use — could have crippling effects on their livelihoods. 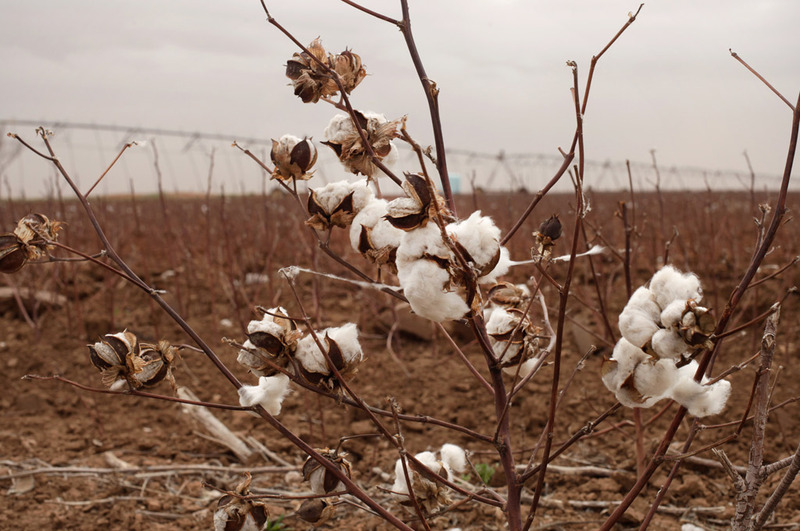 “We view it as a real property-rights violation,” said Dawdy, who grows cotton. If the restrictions had been in place last year during the drought, he said, his land would not have produced a crop. Water is a contentious issue across Texas, but tensions have been especially high in a 16-county groundwater conservation district stretching from south of Lubbock into the Panhandle, an area considered part of America’s “breadbasket.” There, farmers reliant on the slowly diminishing Ogallala are fighting to maintain their right to pump unrestricted amounts of water. The issue gained urgency last month when a landmark Texas Supreme Court opinion confirmed that landowners own the water beneath their property, in the same way they own the oil and gas. Texas has nearly 100 groundwater conservation districts, but High Plains has been among the first to limit the amount of water pumped from individual wells, Hardberger said. High Plains began those restrictions in January, along with the meter requirement. After the rules prompted an outcry, the district’s board, which consists of five locally elected officials, voted last month to delay enforcement and penalties until 2014. Until now, the district’s groundwater regulations have consisted of requiring specified space between wells and a certain distance from property lines. Jim Conkwright, the general manager of High Plains, said the new rules were necessary to keep the area’s aquifers viable. On average in the district, the Ogallala has been declining by at least three-quarters of a foot per year, he said. The next measurements, available in May, should show the recent drought’s impact. High Plains wants to make sure that half of the Ogallala’s water that was available in the district in 2010 remains in 2060. This goal, and the tightening rules, are part of a complex statewide groundwater-management process ordered in recent years by the state Legislature. The situation reflects a basic conundrum in Texas groundwater policy, as it has evolved through the courts and the Legislature: groundwater is owned by landowners, but groups like High Plains can regulate it. “It’s very emotional when you try to tell people what to do with their own property,” said Brad Heffington, the Littlefield-based president of Plains Cotton Growers, who wants the new rules modified. Robert Glennon, a professor at the University of Arizona’s Rogers College of Law and the author of Unquenchable, a recent book on water, said that Texas is virtually the only state that functions by the “rule of capture,” which allows landowners to pump essentially unlimited amounts of water. “Elsewhere in the U.S., groundwater is a public resource, and the state allows people to use the resource,” he said. A number of other states — including Colorado, Arizona and Idaho — have restricted the amount of water farmers can pump, he said. Some farmers support High Plains’ new regulations. State Sen. Robert Duncan, R-Lubbock, whose constituency includes many High Plains farmers, said he viewed the district's actions as "necessary to make sure that we preserve irrigated agriculture out in the High Plains for as long as possible." The state has essentially encouraged groundwater districts to be active, especially in aquifers like the Ogallala that are being depleted, Duncan said, and "I believe the groundwater district has worked hard to try to accommodate the concerns and interests of the different producers and commodity groups that exist and that operate on the Ogallala." It is difficult to know how many farmers support each side in the rules debate. Some farmers will be more affected than others, depending on how much water lies beneath their acreage and how well the soil holds water. Dawdy worries that the restrictions could cause a decline in property values on land that has ample groundwater, like his Floyd County farm. The requirement to have meters, which will fully extend to existing wells in 2016, has also stirred opposition, and the water district has begun a study that could end up exempting farmers in areas where there is relatively little groundwater anyway. Meanwhile, the meters are flying off the shelves. 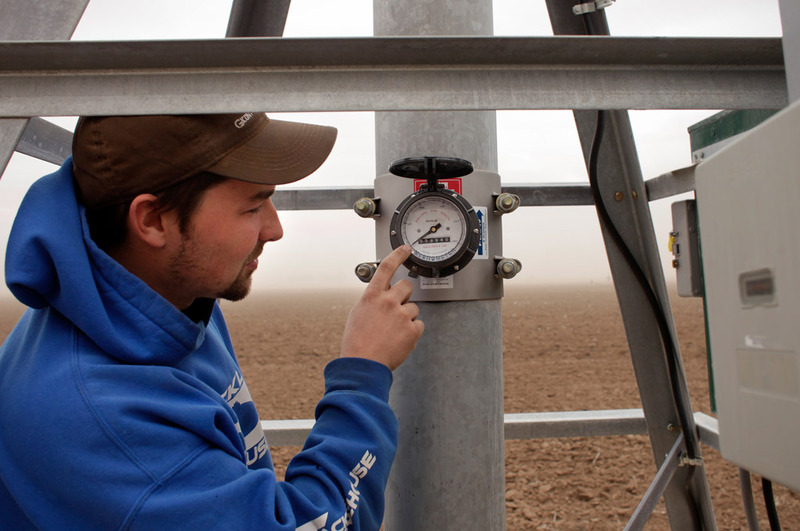 Massey Irrigation, a Lubbock company, ordered 150 to 200 new meters last fall, ahead of the High Plains requirements. Many remain in boxes, but Kyle DuBois, Massey’s vice president, said that about 100 have been sold, far more than usual. Kyle DuBois of Massey Irrigation inspects a water meter. The meters cost up to $2,000 apiece (including installation), and farmers may have a few dozen wells on their land, according to DuBois. Besides the expense, Tommy Fondren, a retired farmer who rents out his land near Lorenzo for cotton farming, worried that meters in new wells can break, because sand and drilling mud can get into them. In those types of conditions, "That meter — it isn't going to last very long," he said. The farmers note they have already invested in water-saving measures. Dawdy has drip irrigation on some of his 1,000 acres, but it was expensive, about $1,300 an acre. Things have come a long way from decades ago, he said, when irrigation water ran through ditches. Hardberger, of the Environmental Defense Fund, said that farmers could do more to conserve. Farmers, meanwhile, say cities could do more. Lubbock, for example, draws entirely from the Ogallala right now, and seeing swimming pools full when farmers are facing restrictions “makes it hard to swallow,” Fondren said. Lubbock currently restricts lawn-watering to twice a week, and will begin once-a-week restrictions in April. Many legal analysts say that the recent Texas Supreme Court ruling could make regulating groundwater tougher, though its full effects will not be known until after further court decisions. Hardberger said that groundwater districts might delay enacting new rules because of it. At High Plains, “we don’t see the need for a change” because of the ruling, Conkwright said. Dawdy is one of five board members of a group called the Protect Water Rights Coalition. Even before the Texas Supreme Court’s ruling, they had prepared a lawsuit challenging the High Plains regulations, but they have not yet filed it.